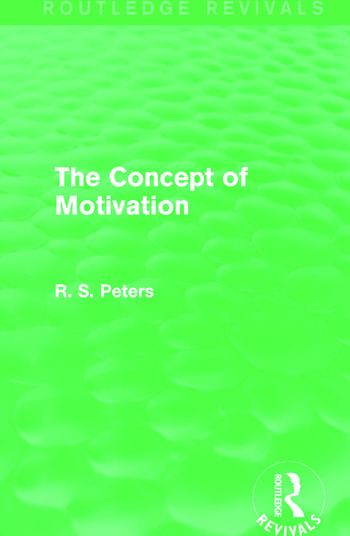 First published in 1958 with a second edition in 1969, The Concept of Motivation looks philosophically and psychologically at the idea of motivation in order to explain human behaviour. Chapters cover types of explanation in psychological theories, motives and motivations, a look at Freud’s theory, drive theories, and regression to hedonism. Despite its original publication date, the book explores topics which are still of great interest to us today.